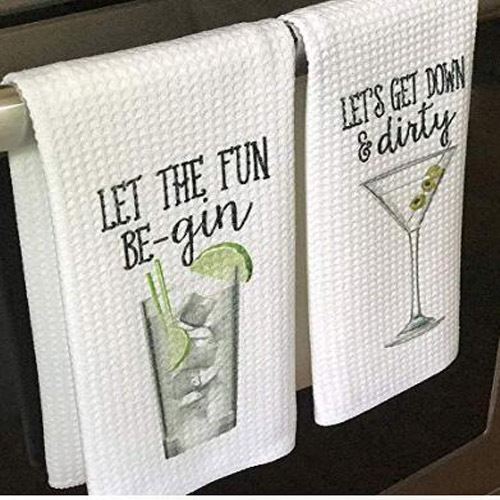 These alcohol printed kitchen towels are made by woven polyester microfiber blend fabric, which will stand up to repeated washing. 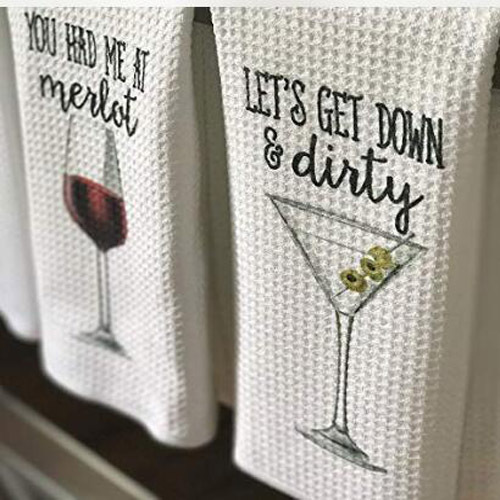 The microfiber printed tea towels will light up your kitchen with these darling alcohol themed printings. 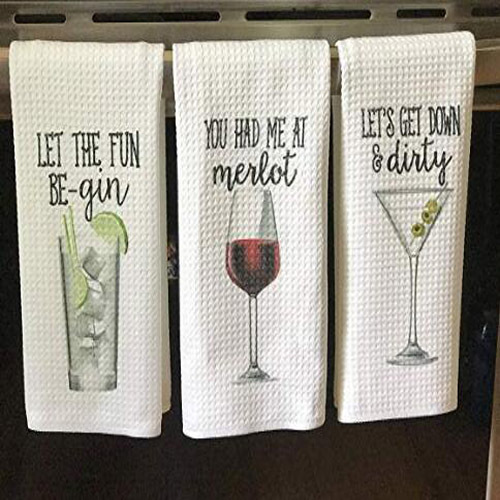 These tea towels aren't just here for their good looks; these towels can put in the work, effectively drying your dishes or cleaning up unfortunate spills. 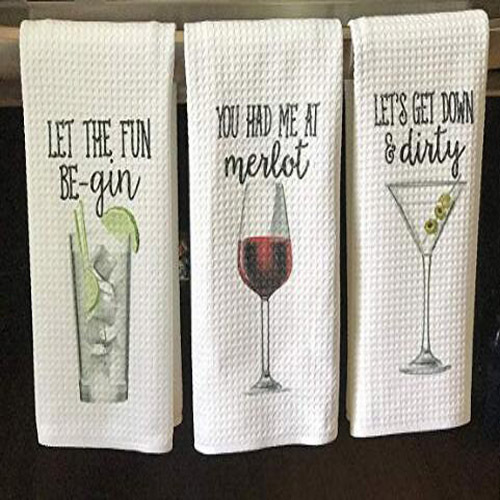 The funny kitchen microfiber towels make excellent housewarming gifts and are also great additions to your cherished collection of kitchen accessories. 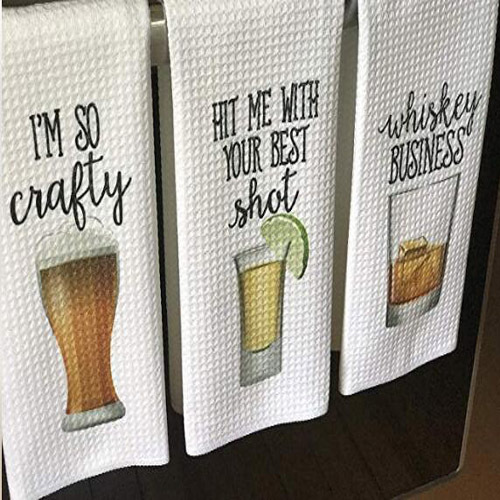 Looking for ideal Alcohol Printed Kitchen Towels Manufacturer & supplier ? We have a wide selection at great prices to help you get creative. All the Microfiber Printed Tea Towels are quality guaranteed. We are China Origin Factory of Funny Kitchen Microfiber Towels. If you have any question, please feel free to contact us.